What is the OpenLink Structured Data Sniffer (OSDS)? How do I use OSDS? 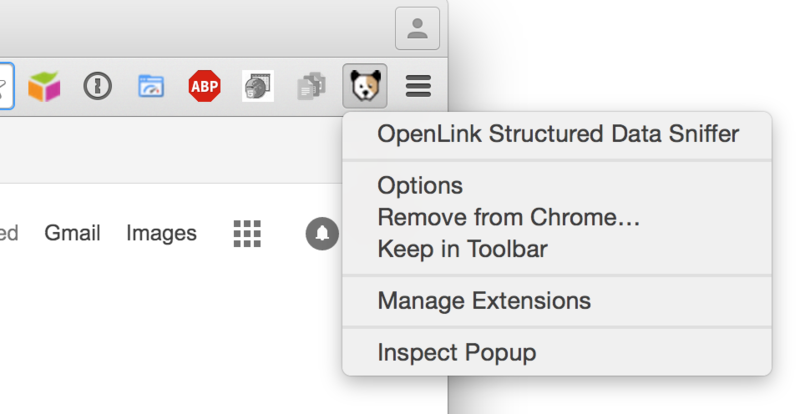 What is the OpenLink Structured Data Sniffer? 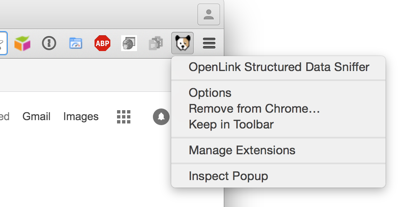 The OpenLink Structured Data Sniffer (OSDS) is a browser extension for Google Chrome, Microsoft Edge, Mozilla Firefox, Opera, and Vivaldi (with a build planned for Apple Safari) that unveils structured metadata embedded within HTML documents and web pages. Why is the OpenLink Structured Data Sniffer Important? At its core, every search engine optimization (SEO) effort requires agility in managing document metadata. Productive Search Engine Optimization — All the major search engines are moving towards modern algorithms based on semantically-rich metadata embedded in Web Pages. Read-Write operations on the Web — Rather than being confined to basic tagging and bookmarking, the new Annotate button places you in a browser hosted editor that makes note taking about documents of interest trivial. Local & Cloud Storage — Rather than being confined to cloud storage provided by 3rd parties, the Download button lets you save extracted metadata or new annotations to cloud or local storage. Improved sniffing — OSDS now handles RDF/XML and JSON-LD. Improved sniffing — Any notation supported as nanotation within an HTML document is now also supported if contained in a properly MIME-typed standalone documents. Support for Microsoft Edge — through a downloadable ZIP for manual installation. Availability through the Microsoft Store is pending. Web Services Console — decomposes URIs of pages you visit, allowing better understanding, easy alteration, and resubmission of those URIs. Distinguishing Browser (User Agent) Identity from User Identity — identify you distinctly from the Web Browser that you are using when presenting data requests to HTTP services. This allows you to take advantage of open standards like URIs, URLs, HTTP, X.509 Certificates, PKI, and TLS. new Plain Semantic Old HTML (POSH) tab — exposes Metadata embedded in HTML docs using <meta /> and <link /> notations. Support for Twitter Card metadata — as part of POSH extractions. Nanotation sniffing — OSDS is now able to sniff out RDF-Turtle (or RDF-Ntriples) statements embedded in the body of HTML documents and/or text pages. Improved default SPARQL query — Clicking on the Query button returns a page that has been automatically enhanced (via Natural Language Processing, Machine Learning, and Entity Extraction) for immediate Linked Data exploration. Sniffed content download — Extracted data can be saved to to Turtle or JSON-LD documents on any filesystem-accessible location, including folders mounted from the likes of Dropbox, Google Drive, OneDrive, etc. How do I use the OpenLink Structured Data Sniffer? Installation is a few simple steps, which vary with your browser. You may choose to install the latest stable OSDS release available in the Chrome Store, as with any other Chrome add-on. Download the zip or tar.gz source code archive from the OSDS Github page. Extract the archive to a local directory/folder. 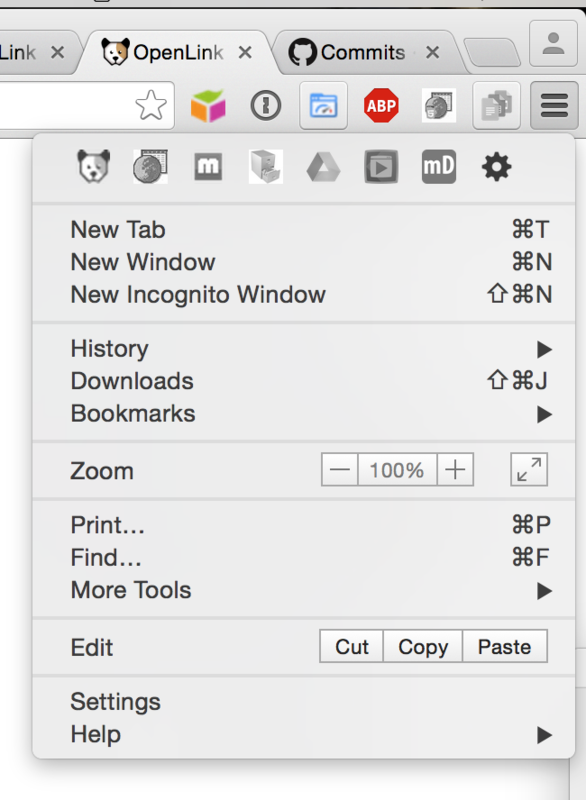 Select from menu: Chrome -> Preferences -> Extensions. Check the Developer mode box. Navigate to the folder containing the extracted source code. OSDS will be added to your browser's installed extensions list. This brief (less than 2 minutes) video shows the whole Chrome process, including a live test of functionality. After basic installation, a few browser UI/UX tweaks may be required to enable optimal use of OSDS. Locate the OSDS icon in the toolbar. Depending on how many other extensions you have installed, the size of your browser window, and other variables, it may have "overflowed" to the Chrome menu . If the OSDS icon has overflowed, right- or control-click it, and choose Keep in Toolbar. Click-and-drag the OSDS icon to the immediate right of the Omnibox (where the current page's URL is displayed) or wherever you prefer. Our installation guide for Edge was based on this general user's guide and this developer's guide, each of which may have other information that is helpful to you. Download the OSDS_Edge_2_14_1.zip file to a local directory/folder, and unzip its content to a directory of your choosing. type 'about:flags' into the address bar. Select the Enable extension developer features checkbox. The Extensions panel will appear, listing all your installed extensions. Select the Load extension button. Navigate to the folder you extracted to in step 1 (or the folder within) that contains the manifest.json file and click the Select folder button. NOTE: If you encounter an error message when loading the extension, refer to the troubleshooting page for guidance. You should now see OSDS listed in Microsoft Edge's extension pane. NOTE: For the time being, Microsoft Edge will ask if you want to enable this extension every time the browser is restarted. Once OSDS is approved for and installed from the Microsoft Store, this prompt will stop repeating. This brief (less than a minute) video shows the whole Edge process, including a live test of functionality. You may choose to install the latest stable OSDS release available in the Mozilla Extensions Store, as with any other Firefox add-on. Download the openlink_structured_data_sniffer-2.9.0-fx.xpi file to a local directory/folder, and unzip its content. 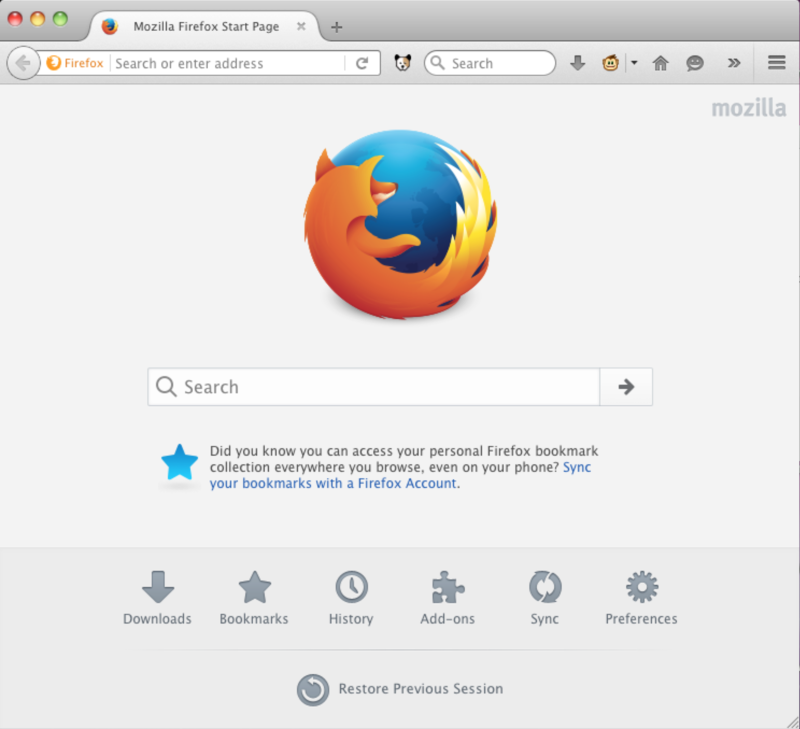 Open the Firefox browser (v28 or later). In address bar type: about:config. Click the I'll be careful, I promise button. Double click that line, repeating if necessary until the value is set to false. In address bar type: about:addons. Click on the Gear icon and select Install Add-On from file... from the menu. Navigate to the openlink_structured_data_sniffer-2.9.0-fx.xpi file you downloaded. Select this file, and click the Open button. 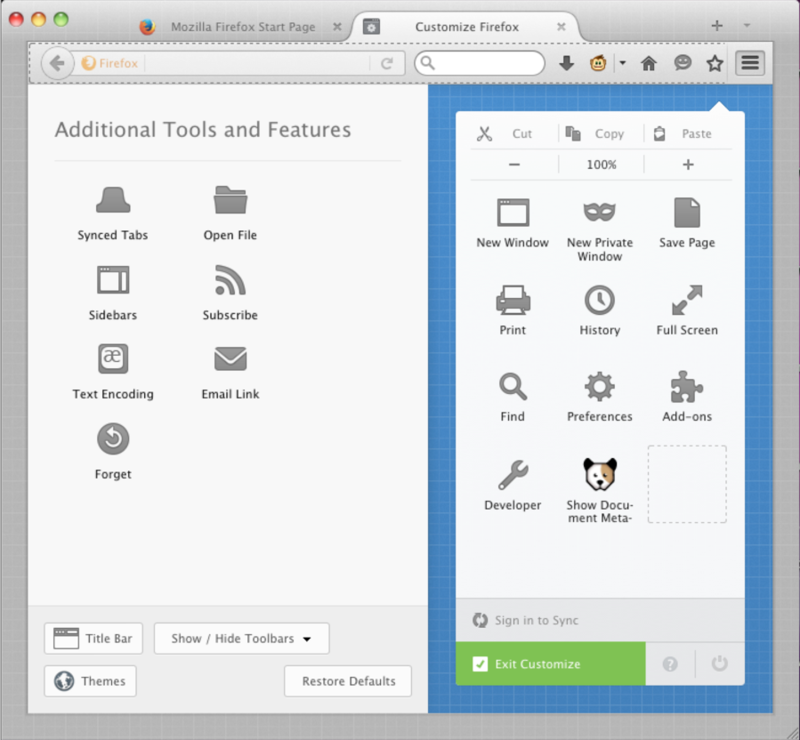 This brief (less than 2 minutes) video shows the whole Firefox process, including a live test of functionality. Locate the OSDS icon in the toolbar. Depending on how many other extensions you have installed, the size of your browser window, and other variables, it may have "overflowed" to the extension menu ». 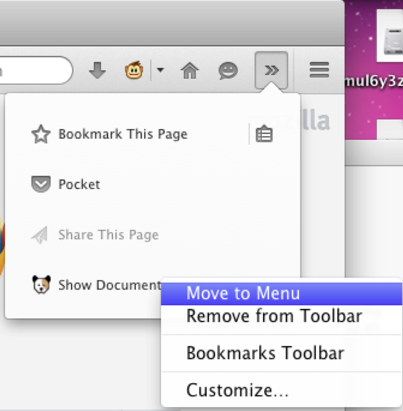 Click the menu icon and enter Toolbar customization mode by clicking Customize. Click-and-drag the OSDS icon from the menu listing to the immediate right of the address box (where the current page's URL is displayed) or wherever you prefer. Click Exit Customize, and OSDS is ready for efficient use. In the address bar, type opera://extensions. 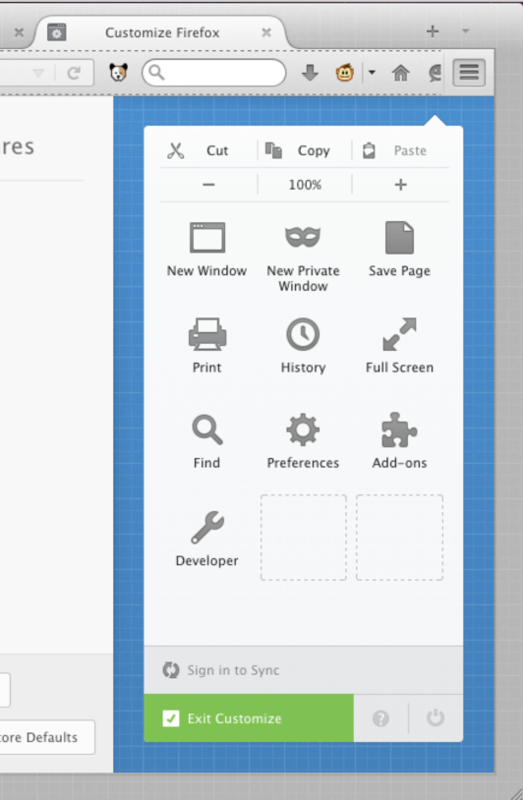 Click the Developer Mode button. Navigate to the folder containing the extracted source. In the address bar, type vivaldi://extensions. Navigate to the folder containing the extracted source, and to the src folder therein. Any person or organization that owns a web-site is perennially challenged in regards to content evaluation and update cycles aimed at increasing and sustaining visibility. With OSDS, you're just a mouse-click away from a solution to this challenge. Most important of all, OSDS reveals the nature and implications of a World Wide Web of entity relationships where the nature of entity and relationship-type semantics are comprehensible to both humans and machines.